What's the point to abandon this Maserati? Is it stolen? 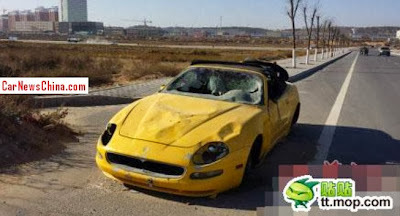 Abandoned for debts? 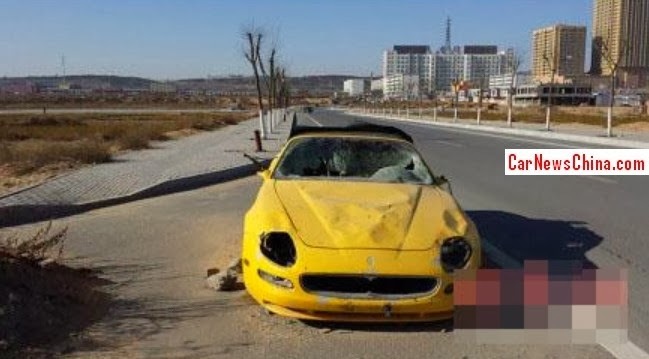 And why the hell is it sitting on a pile of rocks since about 4 months? 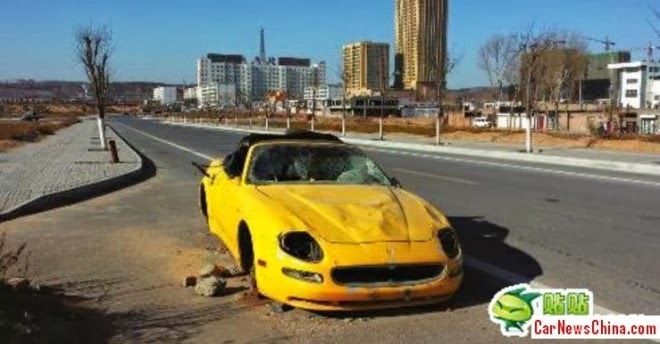 This sad news comes from the chinese city of Yuli and reports a yellow Maserati 4200 GT Spyder left at the side of the road for several months and for unknown reasons at the mercy of vandals and people with no respect. The wheels are missing and overall the car looks heavily damaged in every side, how come nobody had the clue to call the police or even claim the poor Maserati? A scene like this certainly breaks the heart of the petrolheads. Where is the goddamn story???? ?